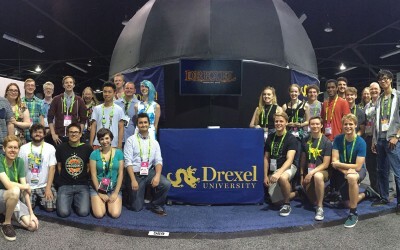 For over a decade, Drexel’s Digital Media Department has been involved in the study, development and teaching of immersive media technologies, such as fulldome, CAVE projection and today’s latest virtual reality, augmented reality systems. With the recent emergence if commercially available, small form factor, production-grade video cameras such as the Black Magic Designs Micro Studio Camera, the prospect of designing, building and using a compact camera system capable of providing faculty and students the ability to record high resolution, single-take 360° spherical video suitable for professional-grade animation, visual effects and production work became a reality and a priority within the program. 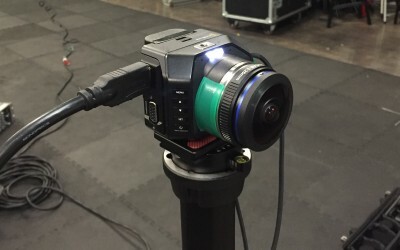 The blog entries below will review the development of this camera system in detail. 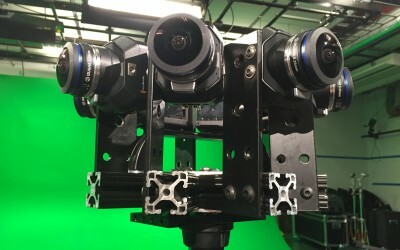 We’ve expanded to 8 cameras for stereo 360° capture. 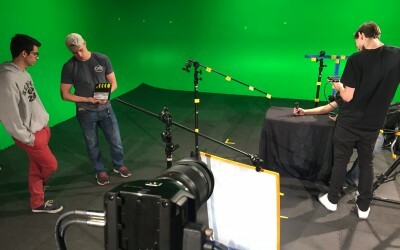 Shooting tracked VFX with synced 4k. 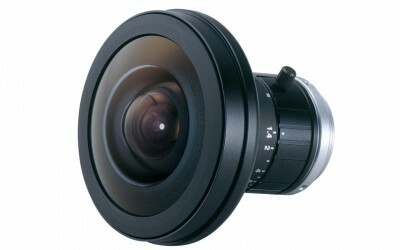 New MFT 3.25mm lens from iZugar. 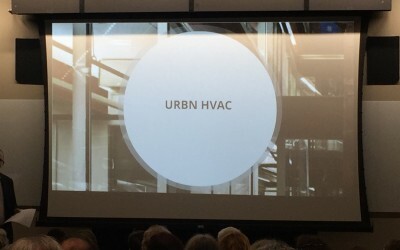 College AC upgrades in the works. 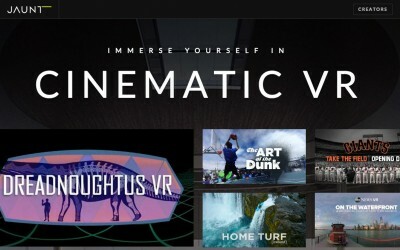 60 VR-grade systems being installed. 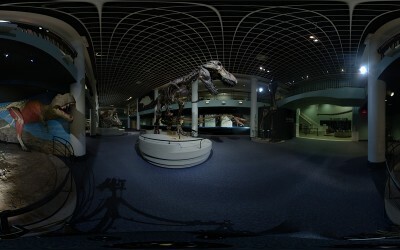 Our dinosaur documentary shot back in March is now live on JauntVR! 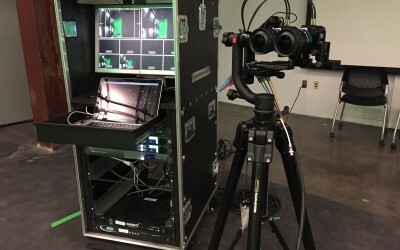 Camera and Dome demos at SIGGRAPH 2016. Updates on how the rig is shaping up. 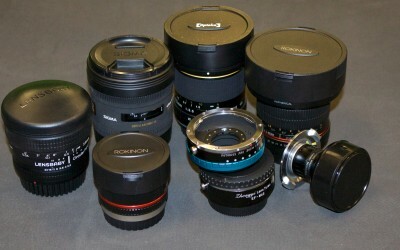 A rundown of the various lens and adaptor combinations we’ve tried so far. 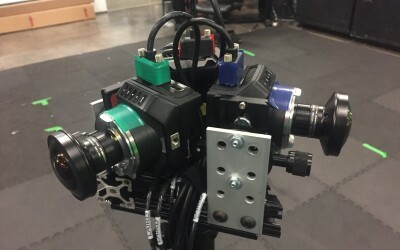 Expanding to a 3 camera rig. CMount security camera fisheye lenses added. Stitching work update on the dino documentary project. 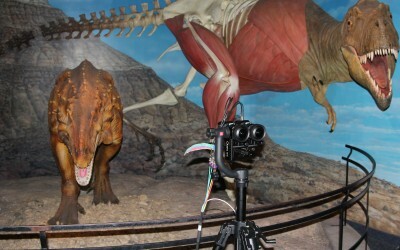 Behind the scenes of our shoot at the Academy of Natural Sciences. 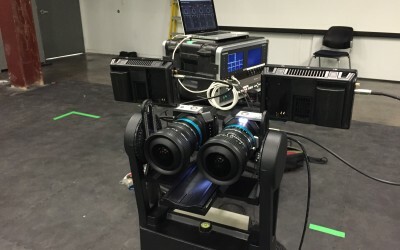 4k ATEM and Recorders are online. 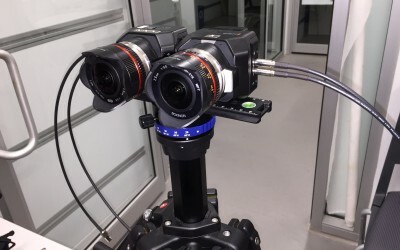 LensBaby lenses, ATEM camera control & GigaPan 360° testing. 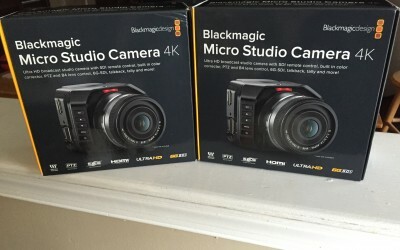 The BMD Micro Studio Cameras are here! 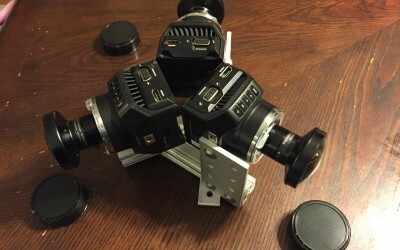 First pair of BMD 4k cameras have arrived.